A branch of the Boston Public Library, the Hyde Park Library was built in 1899 in the Classical Revival style. Schwartz/Silver’s renovation and expansion doubled the size of the facility to over 28,000 square feet. 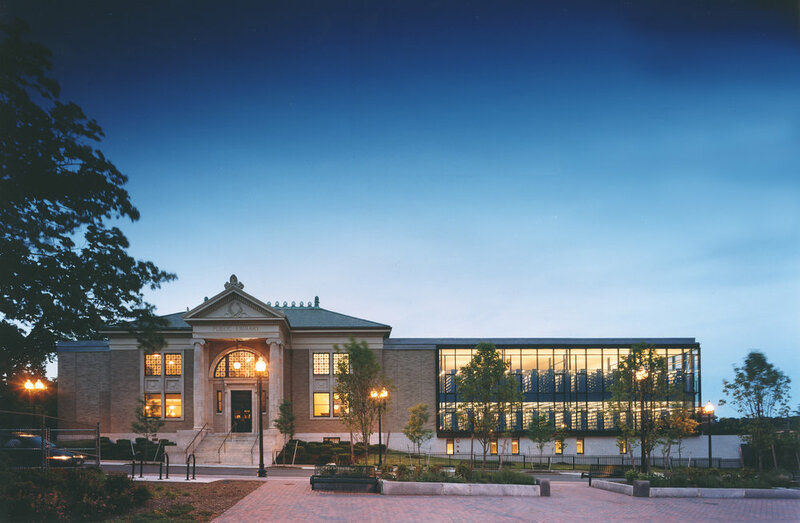 To maintain the balance and symmetry of the historic structure, the original brick fabric was extended with flanking masonry ‘bookend’ additions that allow its two story portico to remain the dominant visual element of the expanded building. A glassy new wing houses the new reading room and collections. Geotechnical Engineer: Geotechnical Consultants Inc.